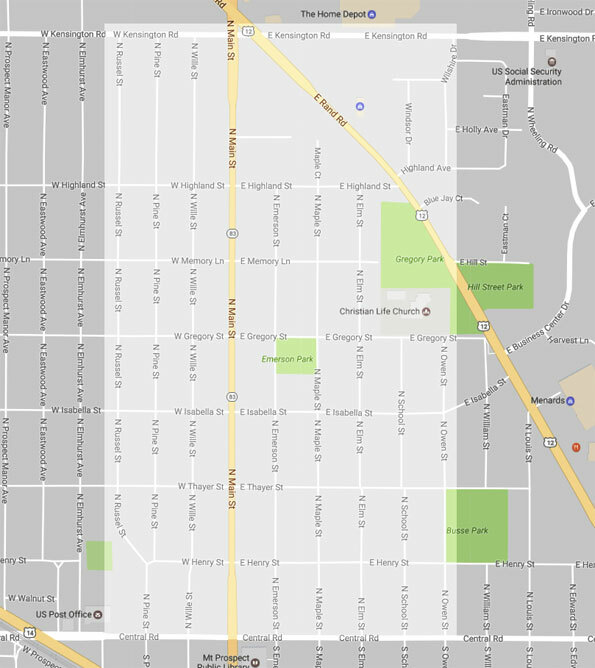 Mount Prospect police responded Tuesday, March 28, 2017 to 20 reports of vehicle burglaries in the neighborhoods between Central Road on the south, Kensington Road on the north, Russel Street on the west, and Owen Street on the east. In these reports, all vehicles were left unlocked and no forced entry was made into them. Mount Prospect police reminds residents to always lock vehicles, even if they are parked in a garage, and always remove all valuables from your vehicles when they are parked. The area is primarily residential populated with single-family homes, east of Prospect High School and south of Randhurst Village.